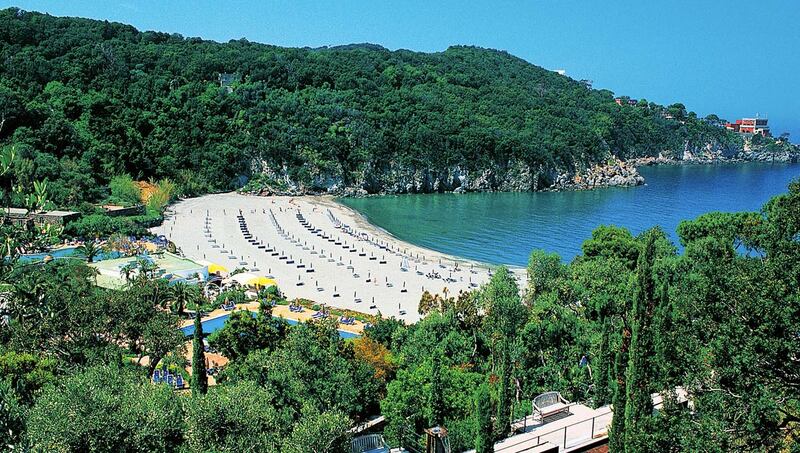 Ischia’s thermal parks are a world-renowned attraction and a top destination of thermal tourism. The island has a lot to offer, including charming gardens, works of contemporary art, terraces with inspiring views, hot springs and fumaroles. 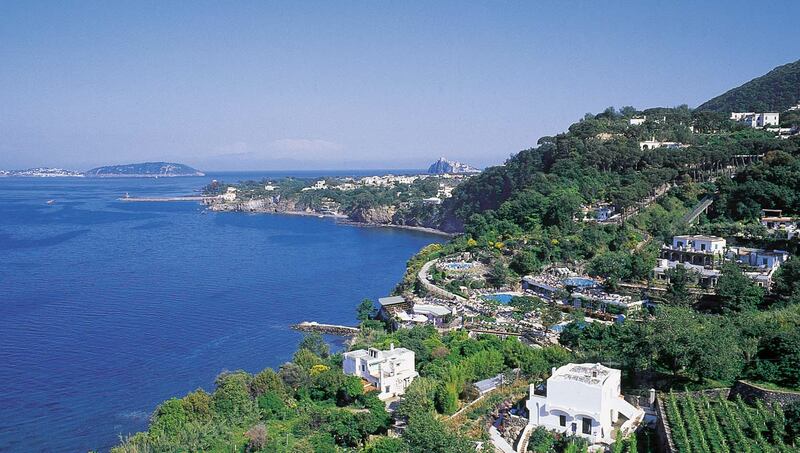 Hotel San Giorgio Terme features a spa and wellness center, but Ischia has many charming thermal parks. We recommend visiting these lovely destinations surrounded by lush nature that offer wonderful vistas and a variety of pools kept at different temperatures. Some of these parks owe their fame to their beautiful gardens. 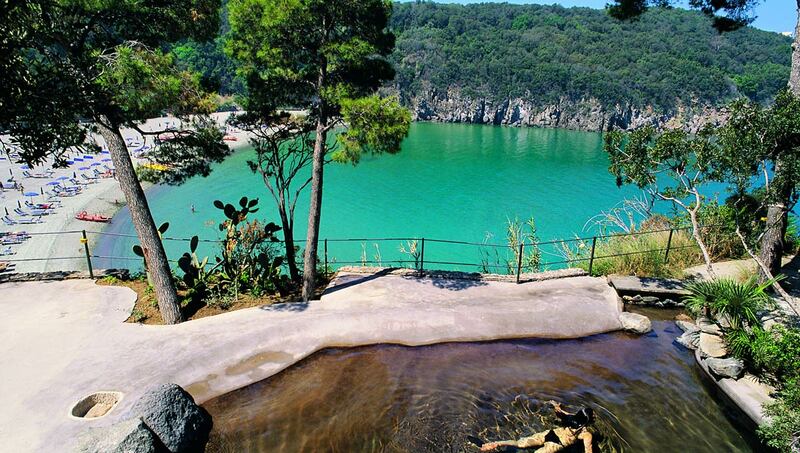 An example is Giardini Poseidon, Ischia’s largest park priding itself on 22 pools and an incredible variety of plants. 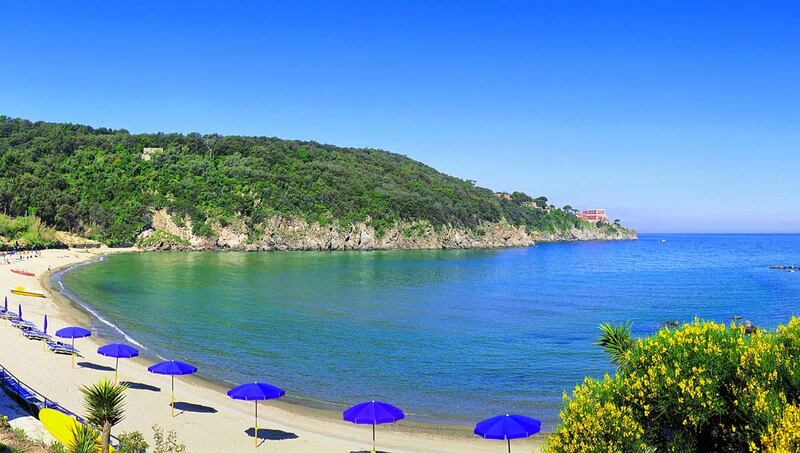 Parco del Castiglione, resting in a natural bay surrounded by green vegetation, features 11 pools, one Kneipp pool, and private access to the beach. Negombo is yet another famous destination located in the bay of San Montano. Tropical plants grow alongside olive trees, aloes, and agaves in the spa’s splendid garden. The facility boasts 15 pools, a private beach, beauty center, and a sculpture by famous Italian artist Arnaldo Pomodoro. 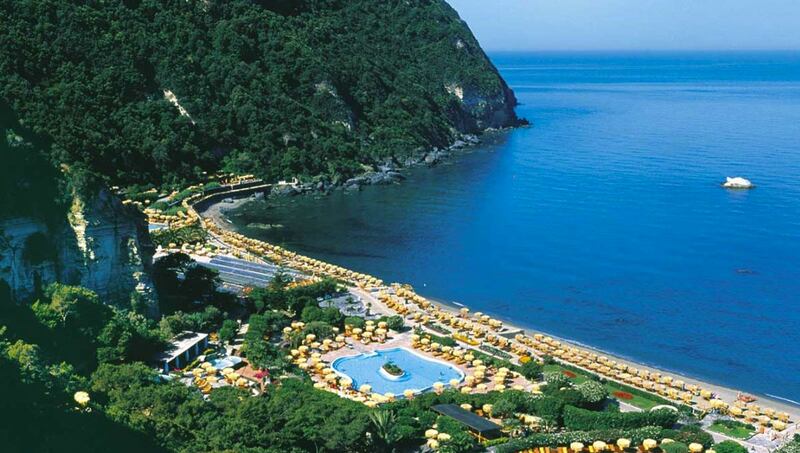 Ischia is home to other smaller, but just as welcoming, facilities. These include Giardino Eden, lying in the wonderful bay of Cartaromana, with 4 pools, a solarium, and a restaurant on the beach that serves delicious fish preparations. 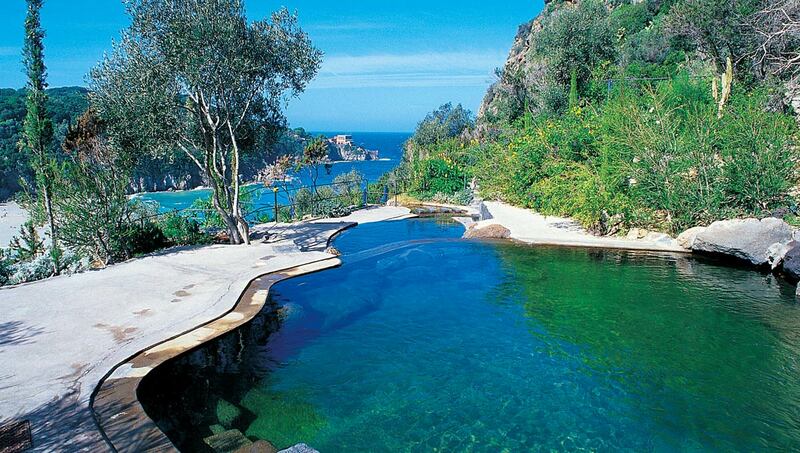 Tropical in the exclusive Sant’Angelo, features 9 pools and Roman grottos. 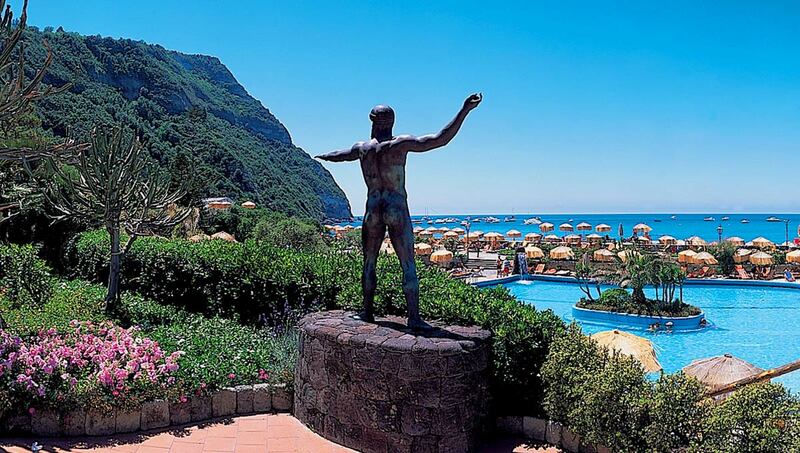 In Sant’Angelo find also Aphrodite-Apollon thermal park with 12 thermal pools, a beauty center, a sauna built inside a natural grotto, and a private beach resort equipped with fitness gear and a beach volley court. You will not regret spending a day of your holiday in one of these charming spots.